The growth in the world economy has resulted in an increase in environmental pollution and ecological destruction in many parts of the world. In particular, economic development in mainland China in recent years has seen a massive rise in environmental pollution such as particulate matter (PM2.5), sulfur dioxide (SO2), and nitrogen oxides (NO2) in many cities; as a result, there has been an increased focus on air pollution and carbon dioxide emission control in recent years. 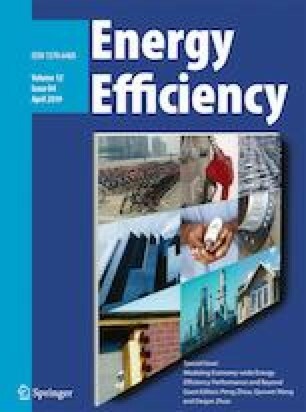 This study used 2013–2017 energy consumption data from 31 cities in China to examine overall and specific efficiencies, for which employees, fixed assets, and energy consumption were taken as the input indicators, and gross domestic product (GDP) and the PM2.5, SO2, and NO2 levels as the output indicators. It was found that from 2013 to 2017, only four cities (Beijing, Guangzhou, Nanning, and Shanghai) had total efficiency scores of 1, with all other cities needing efficiency improvements. The efficiency scores for the different pollutants varied widely, with the NO2 efficiencies being generally higher with less improvement needed, while the SO2 and PM2.5 efficiencies required significantly greater governance measures. This study is financially supported by the National Natural Science Foundation of China (No. 71773082), Sichuan Province Philosophy and Social Sciences Project (No. 2016SC16A006), and Sichuan Science Project (No. 2017ZR0033).